2 Civil War related items. 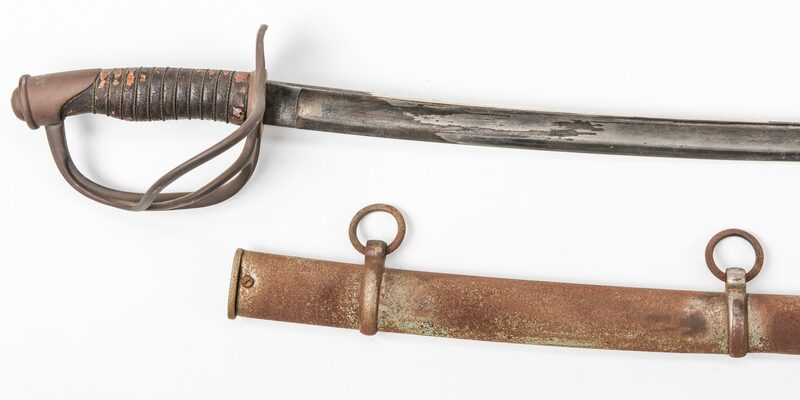 1st item: Model 1860 Light Cavalry sword with metal scabbard. Blade stamped "Henry Boker Solingen". 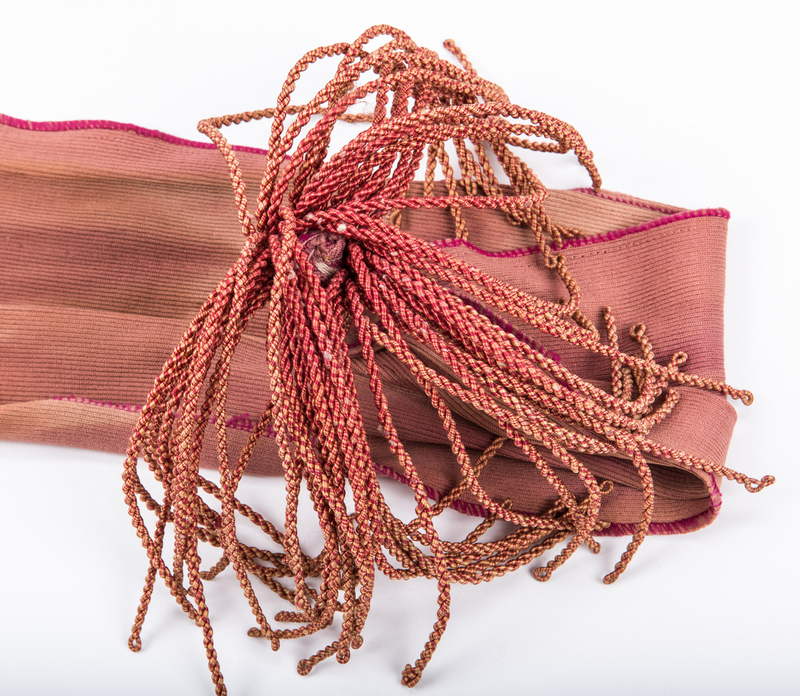 Steel blade, brass guard and shagreen leather wrap with twisted brass wire. Scabbard with two rings. Blade length – 34 3/4". 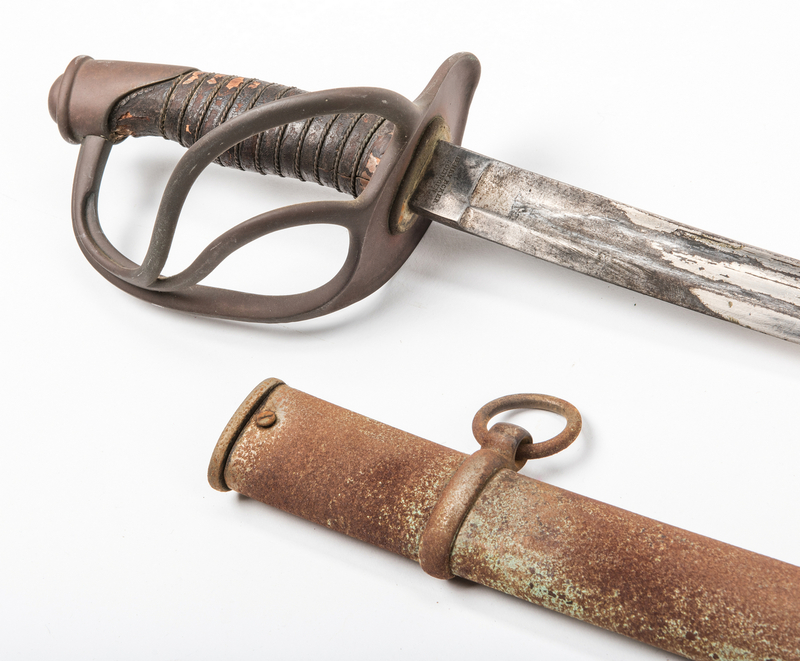 Overall length with scabbard – 43". 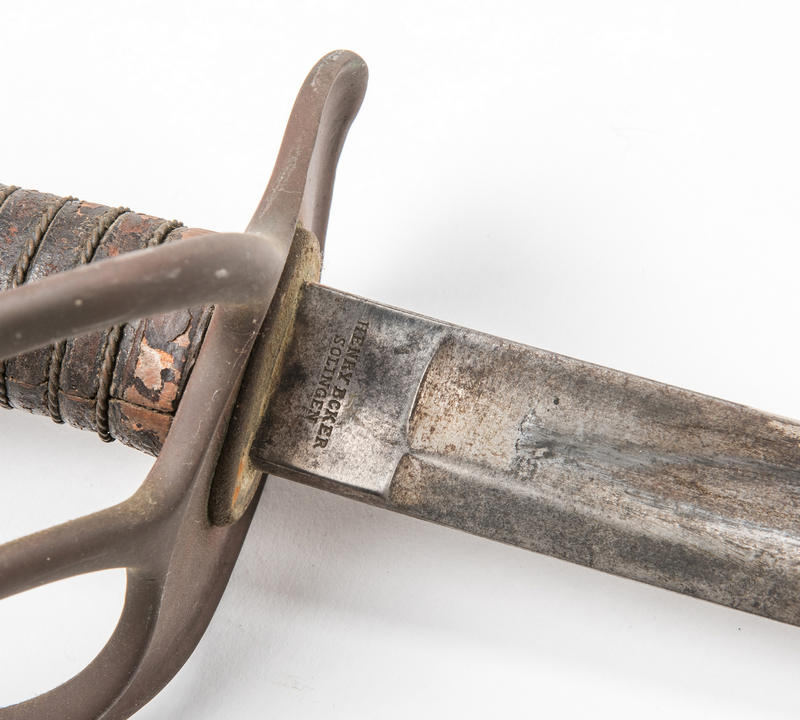 Note: Henry Boker imported blades from his brother in Germany and assembled the swords in the United States. It is estimated that he sold 45,000 Model 1860 light cavalry swords to both the Confederacy and the Union during the Civil War. 2nd item: Reproduction Union Infantry Non-Commissioned Officer's sash, consisting of crimson polyster with silk tassels. 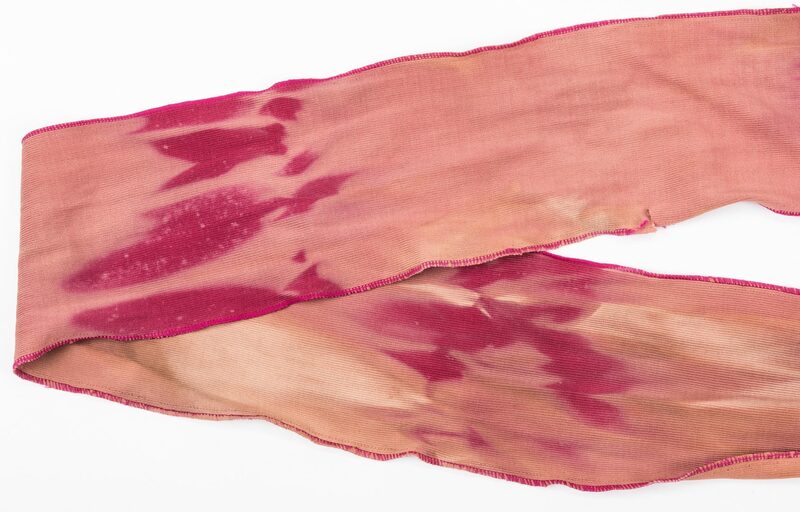 Overall length – 112". Provenance: The collection of internationally known ragtime pianist and historian Johnny Maddox, Gallatin, TN. CONDITION: 1st item: Overall good condition with pitting and some oxidation to blade. Areas of loss, largest 3/4" x 2 3/4" to shagreen leather on handle. 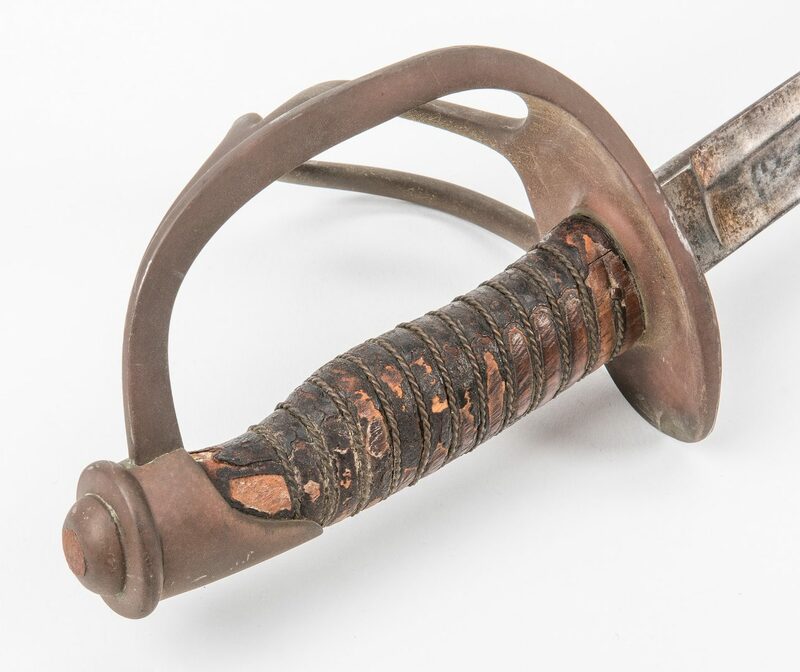 Oxidation, rust, and general wear to scabbard. 2nd item: Overall good condition with fading, staining to fabric. 1" tear to edge of sash.